Rush hour congestion in a major city can be a headache for any driver, but it’s a life or death situation for emergency response vehicles. Cars, trucks, and buses either struggle to get out of the way of an ambulance or view making a left-hand turn as more important than a fire engine getting to a residential fire. New driverless car technology might solve this headache. 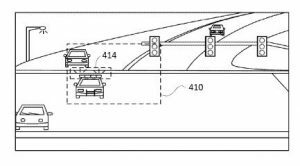 Google filed a patent application this month on new technology that would help driverless cars avoid emergency response vehicles. According to the application, Google is developing sensors that will automatically detect police cars, ambulances, and fire trucks and then safely pull the car over. The system Google is proposing would recognize the flashing lights by both color and flashing sequence. “Light sources that may be known to be unassociated with [emergency vehicles] based on geographic location data may be excluded from the set of the identified light sources,” said the patent, which was published by the U.S. Patent and Trademark Office last week. The car would measure the distance between the car and emergency vehicle to determine whether it needs to react. Google’s latest announcement has followed a summer full of advancements in driverless technology. Finland debuted the first driverless bus and at the close of the Rio Olympics, Japan announced plans for driverless vehicles at the 2020 Summer Games.